Bruce Mason Centre - Takapuna BeachThe Wiggles - Wiggle Fun Tour! Dunedin Town Hall - DunedinThe Wiggles - Wiggle Fun Tour! Wiggle Fun Tour! 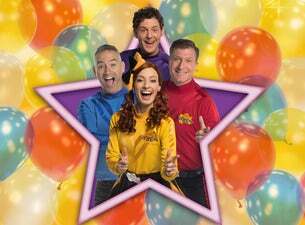 The Wiggles are coming to perform for you as part of their Wiggle Fun Tour! This brand-new show will see Emma, Lachy, Anthony and Simon singing and dancing with all their Wiggly Friends; Captain Feathersword, Dorothy the Dinosaur, Wags the Dog, Henry the Octopus and brand new Wiggly Friend; Shirley Shawn the Unicorn! Get your tickets to the Wiggle Fun Tour! as quick as you can, during last year’s tour The Wiggles sold out 200+ shows! The Wiggle Fun Tour! You might like to 'Do the Propeller' or 'E-M-M-A' say g'day to Lachy's friend Ponso the Pony or play 'Simon Says' as well as doing the 'Hot Potato' or 'Rock a Bye Your Bear'.